Promotional USB flash drives have been a hot promotional item for many years now. The fact that such a small inconspicuous product would occupy such a huge space in the promotional products industry is testament to its place in the market. Initially USB flash drives were a very expensive product with limited capacity. They have since grown into one of the largest segments of the industry at a very affordable price point. Whats more promotional USBs are now available in capacities up to 128GB which is a far cry from the 128MB which was the most popular capacity only ten years ago. Promotional USB are a great product as they are very useful for both storing and transferring data. They are compact and can be taken anywhere. There are a huge range available which means they can be tailored for any campaign and have a number of branding options. 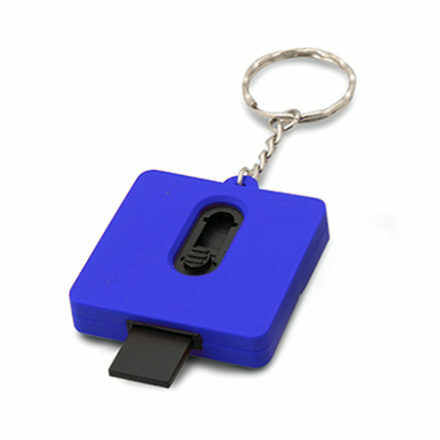 There are plastic USBs, metal USBs, Pen USBs and increasing popular for the promotional market are custom shaped USBs. They can also come in customised packaging which is great for adding more custom branding to the product. There are currently over 3 billion USB flash drives shipped world-wide. Of those nearly 10% of the flash drives shipped are custom branded USBs. That means that over 300 million promotional USBs are used in promotional marketing campaigns each year. That is more then almost any other promotional product out there.